This past weekend someone asked me about why do wineries blend wine. Last July, I wrote an article about wine blends and I mentioned about combining two or more wines makes each one better than they would be on their own. Sometimes wine varietals need other wines to help them have the complexity that a wine needs. Sometimes a wine can be flat and if you blend an acidic wine, it will create a blend that is balanced. By blending you generally balance out the flavor characteristics. This Saturday, February 2nd, I am doing my first #RedBlend Tasting Event at noon. 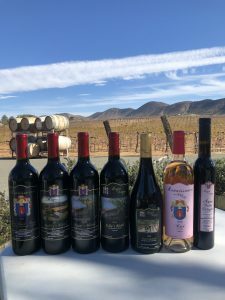 I will pair a petite bite with each of our red blends, plus one of our rosés and a dessert wine. I will say that wine is an imperative beverage that can accompany and will enhance most meals and vice versa while the food can improve the wine. It is generally served with dinner, while sweeter wines or dessert wines are served with dessert. I remember doing a wine pairing event at a chocolate shop in Hollywood and they had me taste the chocolates first to see what I would pair them with. Well…I wouldn’t choose those sweet treats by themselves, but with wine they were much tastier. I have mentioned before, I first smell the wine and then I taste it. From there, I take the aromas and flavor notes and think what foods have similar notes. For instance, our 2014 Julia’s Blend, has aromas of licorice and black cherries. On the palate you get notes of cherries and spices. This luscious blend of Estate Merlot and California Syrah and was aged in French oak for 23 months gives this wine character and complexity. I take those notes and think of savory dishes that have fennel and cherries. These three dishes would be a perfect pairing to this award-winning red blend; Roasted fennel and pork roast, lamb chops and sour cherry rice, plus a salmon fennel risotto. It has won 86 points in the Wine Enthusiast Magazine (04/2018 Edition) and a Silver medal in the 2018 Toast of the Coast competition. 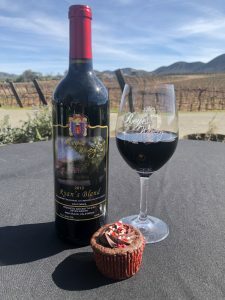 Our 2013 Ryan’s Blend is a Bordeaux blend of Estate grown Cabernet Sauvignon and Merlot and locally sourced Petit Verdot was aged for 23 months in French oak barrels. It has a rich intense body and is layered with ripe black cherry, fig and blackberry aromas, with a hint of dark chocolate. Its full bodied, yet velvety with notes of cherries and peppercorns on the palate. This wine I am going to share a few sweet treats with you. Dessert wines and sugary delights can be too sweet, whereas a red wine with chocolate will hit the spot. My cherry pie chocolate cupcakes will do just that. The secret ingredient in this cake, is the pink peppercorns, to give it a touch of spice. Also, you can enjoy this #RedBlend with red velvet cake, cherry cobbler or dark chocolate cherry shortbread. This award-winning wine has won silver medals in the 2018 Toast of the Coast, 2017 O.C. 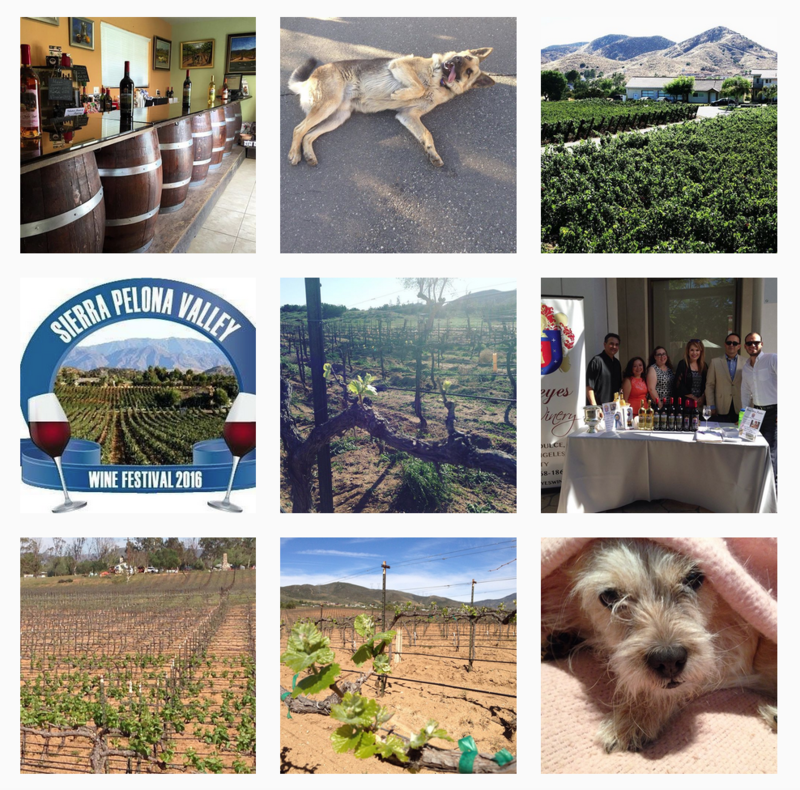 Fair Commercial Wine Competition and 2017 Los Angeles International Wine Competition. Plus, Bronze medals in the 2017 San Francisco Chronicle Wine Competition and the 2017 San Francisco International Wine Competition. In addition, it received 87 points from the Wine Enthusiast Magazine (04/2018 Edition). Wine is important in the food world, and not just for its value as a beverage, but as a flavor agent. It makes such a difference in stocks or dishes that you braise. Its acidity give balance to rich or sweet dishes. Instead of using water, use wine!